Leading social media personalities are now posting cinemagraphs on Instagram and Facebook! Get to know the Australian wildlife fanatic and the American nature enthusiast bringing cinemagraphs to your feeds. Cinemagraphs have come a long way since these captivating loops were first given a name back in 2011. Social media has transformed them from a niche art into a widespread photography medium capable of hypnotizing all sorts of audiences, from the art-y to the business-savvy. You may have already encountered a cinemagraph or two in your Instagram or Facebook feeds, but if not – a quick search for #cinemagraph will give you a prime view of the action. Being a photography influencer on social media today means experimenting with the latest creative mediums, tools and apps – including cinemagraphs. We’ve been keeping a close eye on two photographers, Shannon Wild and Kelli Klymenko, who captured our attention with their cinemagraphs of wildlife and landscapes. 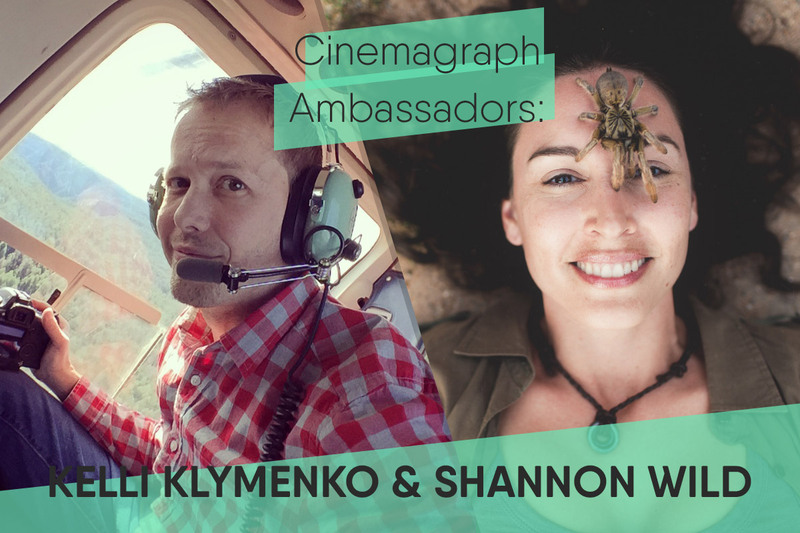 We recently caught up with both of these talented ‘cinemagraph ambassadors’ to learn about their backgrounds and hear their thoughts on why cinemagraphs are a medium well worth exploring. Follow Shannon Wild’s adventures on Instagram and Facebook. Based in Arizona but originally from the east coast of the US, artist Kelli Klymenko began developing his photography skills around 15 years ago through experimentation with a hand-me-down Olympus 35mm film camera. Fast forward to today: Over 350,000 people lay eyes on his landscape photos and cinemagraphs via Facebook. Check out Kelli Klymenko’s work on Facebook and Instagram. Looking for more cinemagraph inspiration? For daily cinemagraph posts follow gallereplay on Instagram and Facebook. I’m Julia, a California-born content strategist, tech editor, and musician living in the vibrant city of Berlin. I enjoy exploring the intersection of culture, art, and technology – an interest that materialized during my studies of Anthropology at UCLA. When I’m not writing, I’m usually making noise on my guitar or adventuring around Europe.